Braddock, PA serves as muse for Levi's latest. Wieden + Kennedy Portland captures the plight of hardworking frontiersmen and women from Braddock, PA, for the Go Forth Ready to Work campaign, promoting Levi's workwear line. The town has undergone severe financial distress in the past few decades, and its mayor, John Fetterman has received national attention for his attempts to steer it to recovery with the help of artists, craftsmen, musicians and business owners. As part of the campaign, Levi's will donate more than a million dollars over two years to help refurbish the Braddock community center and support the town's urban farming program. 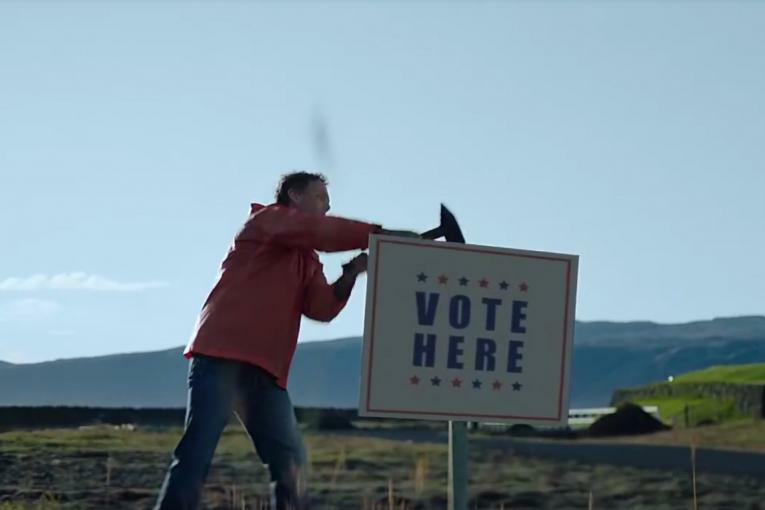 For the campaign's various executions, W+K teamed with Skunk-repped director John Hillcoat, best known for his films The Road and The Proposition, to document the real working citizens of Braddock in a TV spot and a short film series. The town's residents also take the place of models in print and outdoor components, shot by Melodie McDaniel.